The Yale 85 deadlocking nightlatch has an inside handle that can be deadlocked by a reverse turn of the key in the outside cylinder after closing the door. The internal snib can be used to hold back or deadlock the latch thereby making the lock inoperable by key or handle. 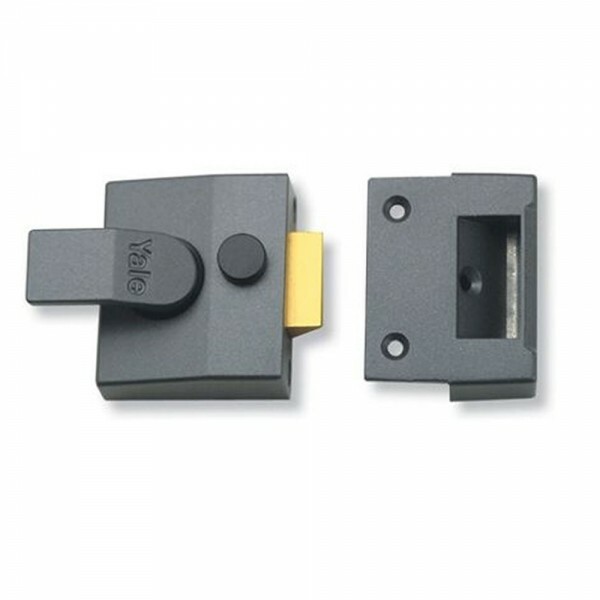 The Yale 85 deadlocking nightlatch is rated as high security and comes with a 2 year guarantee.